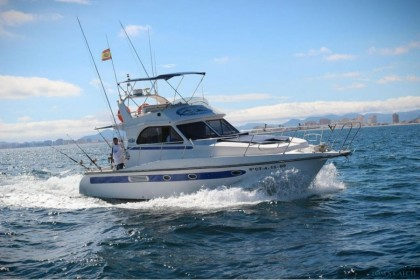 Fishing in Murcia offers a wide range of world-class fishing opportunities. The Mar Menor is an inland sea that is great for fishing all year round, even during bad weather. Marine reserves in Murcia are a great breeding place for fish, which also has a positive effect on the rest of the region. 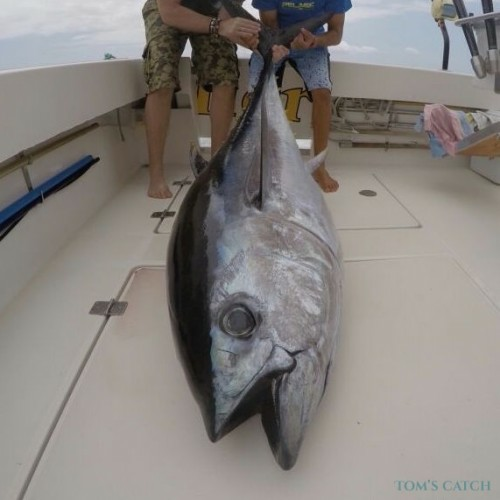 Deep sea fishing in Murcia is revered the world over, with fishermen of all skills and styles and abilities coming from far and wide to capitalize on the abundance of large tunas that can be found here. The waters of the Mediterranean are very clear, almost transparent, so fishing in Murcia permits clear observation of its bottom, which is full of algae and multiple fish species. 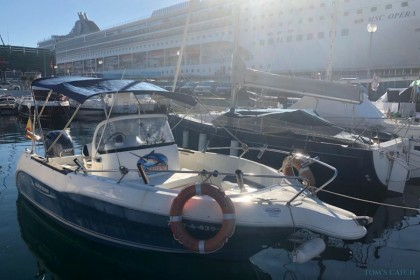 The coasts of Murcia offer a wide variety of watersports activities, from the stellar scuba diving conditions to exhilarating kite surfing and windsurfing. 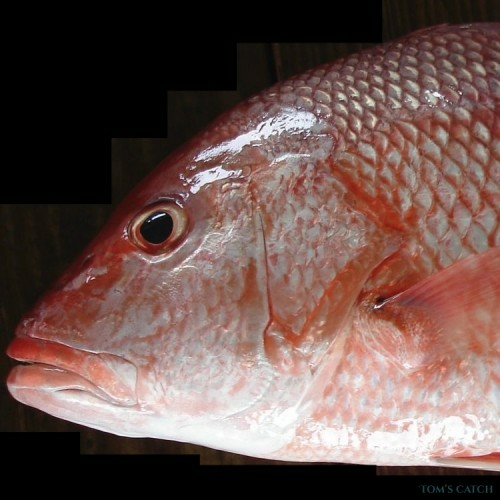 Red tuna: The most common way to catch red tuna is by trolling, which is a common form of fishing in Murcia. It is used with artificial fish designed for speeds of between 7 and 10 knots, the most common being halco, rapala and bonita. The best time of year to get an exemplary specimen of red tuna in Murcia is in the summer months. Giant red tuna can be found in the Mediterranean Sea during the hottest months, from March to September. 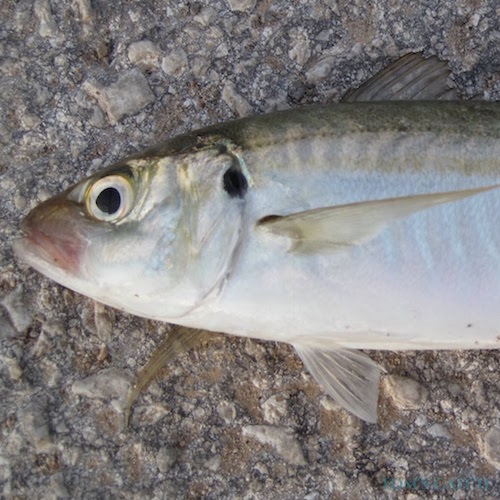 Amberjack: This is one of the main target species for fishermen fishing in Murcia. You can catch it by trolling with natural bait, which is the best technique for fishing in Murcia. Amberjack season runs practically all year round. Dolphinfish: The method most used for fishing dolphinfish in Murcia is sea trolling with light equipment. But when you know the precise sites where you can find examples of this species by chumming or spinning, you will be able to achieve excellent results. 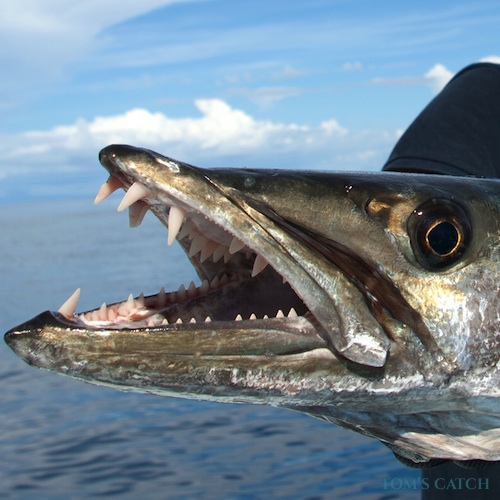 The best time to catch dolphinfish on the Costa Calida is during the months of September and October. Grouper: Once the grouper is hooked it typically seeks refuge in the caves and crevices of the rocky ocean bottom, where it hides. Once it has entered into a safe area it is practically impossible to get it out. Therefore it is essential to remain alert while fishing in Murcia for grouper. An oversight could mean a lot of frustration for the fisherman. Deep sea fishing with natural or artificial bait is the most effective technique for fishing grouper. 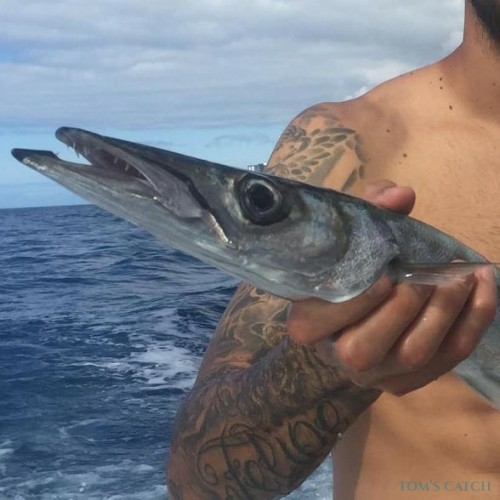 This species can be fished all year. 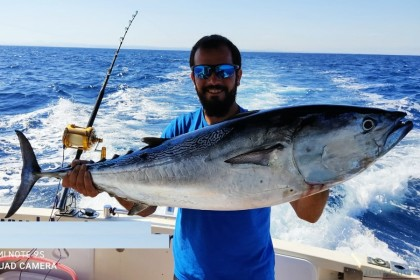 Spring: When dishing in Murcia from April to May, you can enjoy trolling and high jigging, whilst trying to catch fast and strong fish, such as red tuna, albacore and little tunny. It is also a good time to fish with garfishes or small barracudas to catch pomfret or bluefish between the depths of 7m - 15m. Summer: Fishing in Murcia during summer is the perfect time to catch red tuna by chumming. 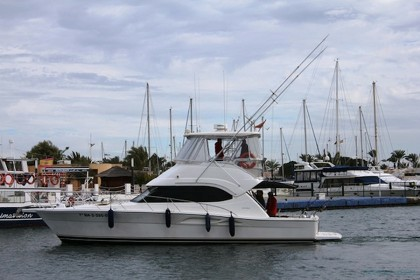 This style of fishing can be done offshore and closer to the coast, in front of Cartagena for example. There you can troll with natural bait (squid, mackerel or jack) and catch multiple fish species, including dentex or amberjack. Fall: Fishing in Murcia in autumn is an excellent time for coastal trolling with small lures and feathers to catch bonito, mackerel and little tunny. It is also a good period for fishing with garfishes or small barracudas, as well as pomfret fish or bluefish between 7 and 15 meters deep. Furthermore, it’s quite easy to find dolphin fish (or dorado as it is often called) in the local waters. Winter: Fishing in Murcia at around 100 meters deep is perfect for big game fishing. The famous “Piedras Malas” conceal large specimens of forkbeards, conger eels, snappers, black spot seabream, as well as the beautiful Atlantic wreckfish. The best bait for fishing here is live hermit crab. For big game fishing, local fishermen use electric reels on a platform. 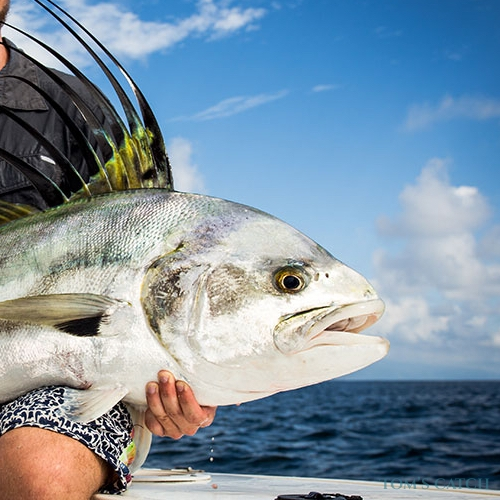 The weather can stop fishing quite often, but when it’s good, great fishing is assured. You can find a great variety of species such as black spot seabream, forkbeard, conger eel, Atlantic wreckfish and grouper, among others. All year round: Fishing in Murcia can be enjoyed successfully at any time of year, although the winter months are widely considered to be the region’s best. Apart from fishing in Murcia you can also go cycling, kite surfing, mountain biking, wine tasting experience, snorkelling & diving, sailing, hiking and much much more. Enjoy the local food in the hundreds of bars & restaurants from La Manga del Mar Menor, Murcia, Lorca, Cartagena and Aguilas. Visit Aguilas and its beautiful castle of San Juan de las Águilas. Many cultures, including the Argaric, Phoenician, Roman and Moslem people, have left their traces here. 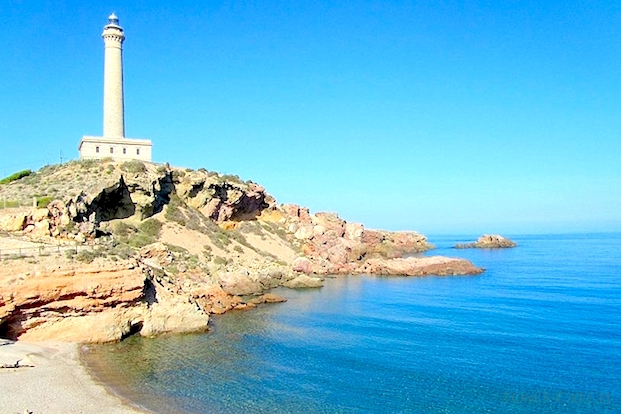 Don't miss the cape of Cabo de Palos and its famous light house. Founded around 227 BC, Cartagana is a must see city in the region with it's fantastic Roman theatre, Palacio Consistoria, etc.